In today’s business environment, technology is the lifeblood of most operations. Technology is the primary means by which you engage your customers and the digital experience you provide is often the primary factor on which your business is judged. That means it’s essential to have an IT infrastructure that you can rely on. However, despite your IT team’s best efforts and substantial expertise, incidents do inevitably arise. And when an event does occur, you need to have a service availability platform in place that can identify the cause of the problem and fix it. That means you need to maintain a platform that will be capable of utilizing automated logic to intelligently and rapidly collect the additional information that’s required to carry out further testing and troubleshooting on your IT infrastructure. This is what is known as root cause analysis. Root cause analysis (RCA) means tracing a problem back to its origin. It typically involves quickly working through a variety of different failure scenarios to rapidly pinpoint and identify the exact reason that a service or infrastructure issue has occurred. Root cause analysis can be enormously beneficial in terms of driving down support costs and accelerating mean time to repair (MTTR) by automating what would otherwise be a time-consuming, labor-intensive manual investigative process. One of the easiest ways to understand root cause analysis is to put it in medical terms. If your leg hurts, you can take painkillers to numb the pain. But only by going to see a doctor for an examination and x-ray can you determine if the source of your pain is in fact a broken leg. That’s what root cause analysis does in IT terms. It gets beneath the symptom and rapidly enables your IT team to identify and fix the underlying cause, so that it goes away for good. To better explain how root cause analysis actually works, let’s take the case of a brick-and-mortar retail chain that relies heavily on point-of-sale (POS) software solutions. A service interruption for such an organization would be bound to result in a massive service disruption and likely lead to costly downtime. However, by having a service availability platform in place to instantaneously perform a root cause analysis, the chain would be better able to monitor, identify and resolve the issue. Furthermore, having such a platform in place could effectively minimize or eliminate the occurrence of such instances in the first place by automatically testing POS business processes across the network before stores opened for business each day. Meanwhile, the chain’s IT department could enjoy greater peace of mind knowing that throughout each business day the root cause analysis capabilities would be in place and at the ready to instantly identify, troubleshoot and minimize any event that did occur. Root cause analysis platforms deploy automated logic designed to pinpoint the root cause of such events and offer instantaneous recommendations for resolving them before they impact customers. But only by having the right RCA infrastructure in place will you instantly be able to analyze a situation fully, rapidly identify the factors that led to the problem and completely understand what your team needs to do to fix it. What sort of event is taking place? What are the specific symptoms of the problem? What is the proof that the problem exists? How long has it existed for? What is the impact of the event? Before you can fully understand the factors that lead to a problem, you first need to understand the situation. What sequence of events led to the event? What conditions existed that enabled the problem to occur? What other problems exist in addition to the central event? Only by identifying as many causal factors as possible can you be certain you get to the root cause of the event, rather than merely dealing with a surface or secondary issue. What is the real reason the problem occurred and why? By drilling down into the various possible causes, you can get to the root cause of an event. After taking the most expedient possible steps to fix a problem, the next priority is making sure it does not occur again. Once upon a time, this was a manual process that could take hours or days to accomplish. During that time customers would be impacted, revenue streams would be interrupted and businesses’ reputations would be damaged, sometimes irreparably. Thankfully, by using a service availability platform to monitor your IT, it is now possible to seamlessly aggregate the disparate data required to perform this process in a matter of seconds. Root cause analysis capabilities such as these draw on a unified collection of millions of integrated event rules and years of combined real-world expertise. Service availability platforms must also be continually updated and expanded in order to ensure continual effectiveness that will keep pace with the evolution of technology and the addition and enhancement of existing systems. So while root cause analysis is indeed an essential part of maintaining predictable service delivery for your customers, taming the wave demands a multifaceted approach involving interworking parts and processes working seamlessly together. That means having the right service availability platform in place before an event occurs. Although even when your platform is deployed, it will still require maintenance not only to ensure it’s working, but also to keep it up-to-date with technological innovations as they inevitably occur. 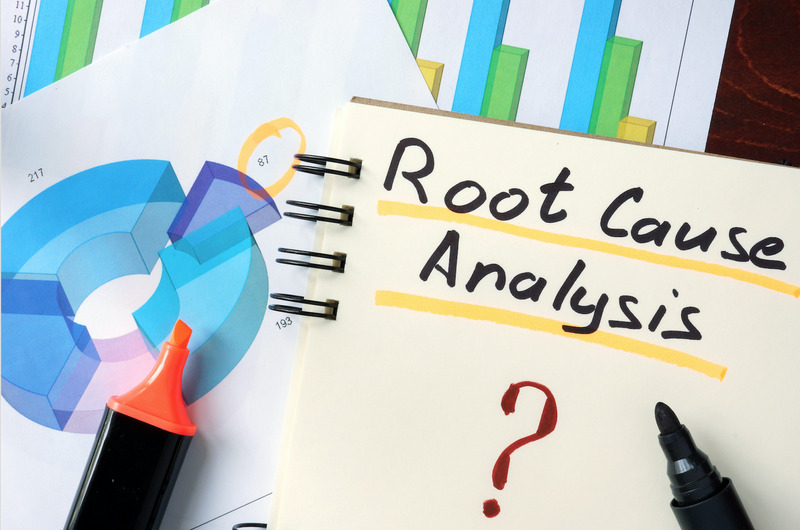 Is Root Cause Analysis Right for You? Optanix lets you tackle this dilemma head-on. By proactively managing service health and automating key operational processes, the Optanix Platform radically improves service quality while significantly reducing ongoing support costs. It transforms your day-to-day IT operations, allowing you to deliver the service levels and business outcomes your company demands, while freeing resources to innovate and deliver strategic business value.